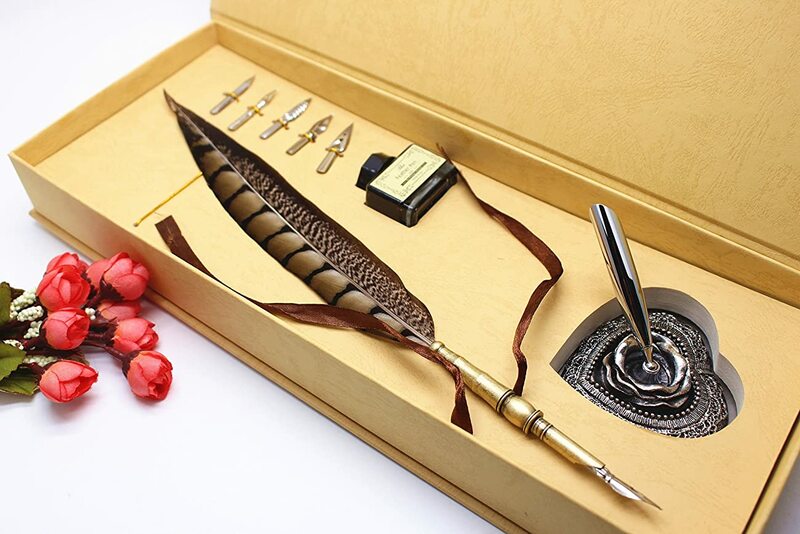 The feather pen is really easy to use and write smoothly. 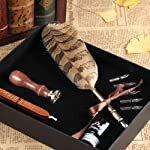 It will be a wonderful gift for writers of all ages. 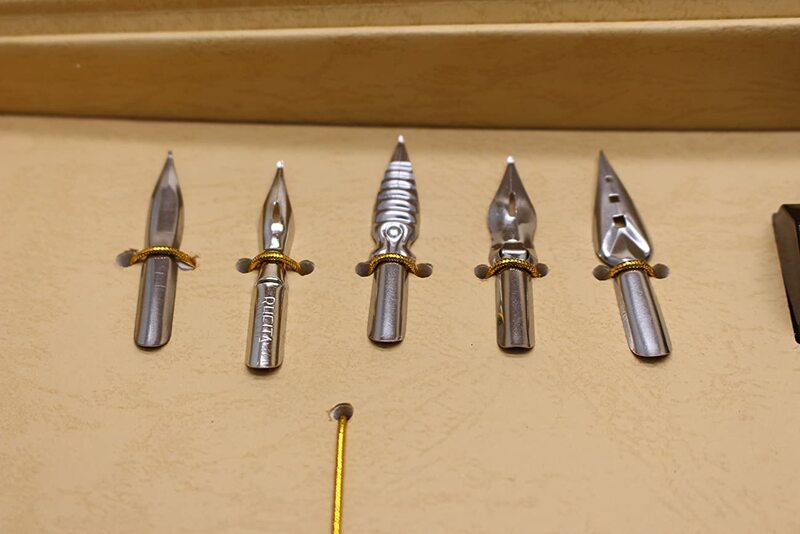 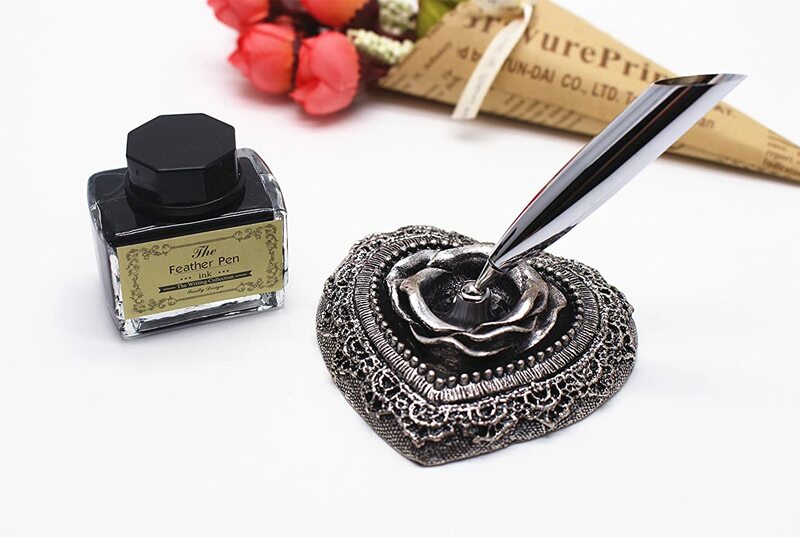 The calligraphy pen and ink set is painstakingly handcrafted to guarantee premium quality, with all the nibs made using a mix of stainless steel and iridium alloy to prevent rust and ensure durability. 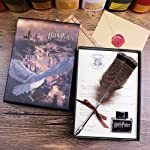 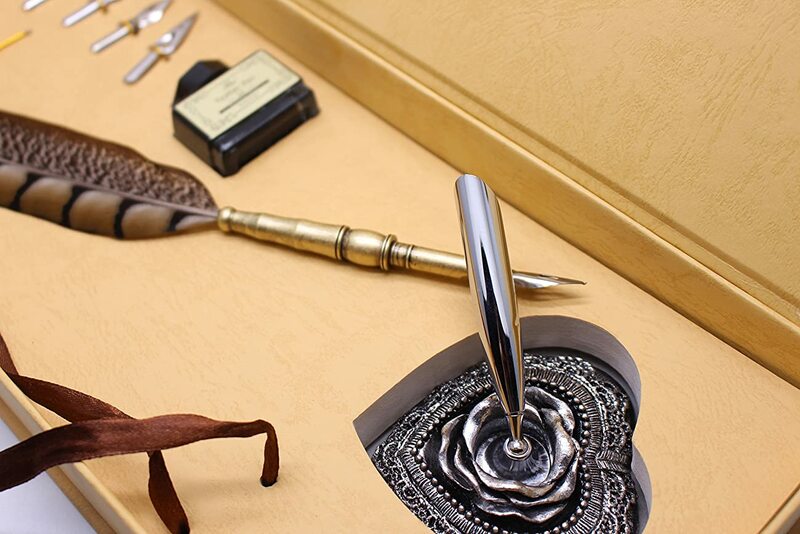 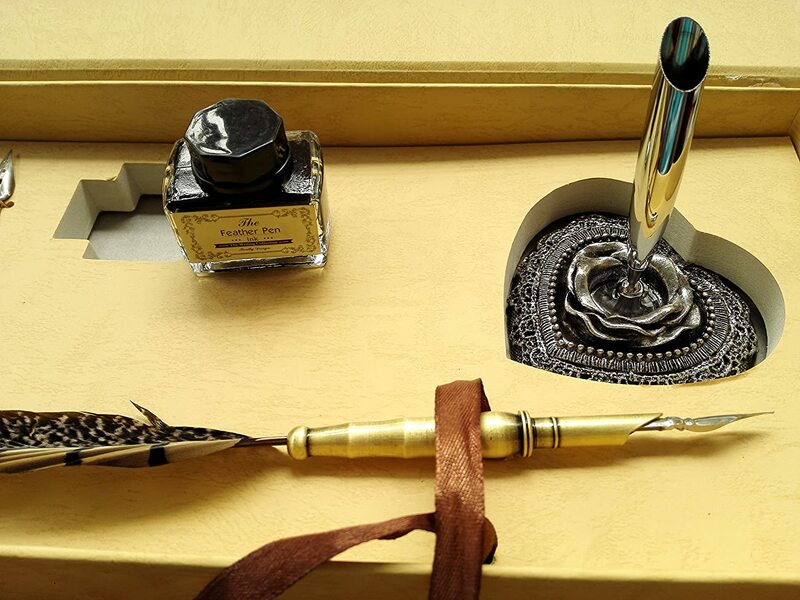 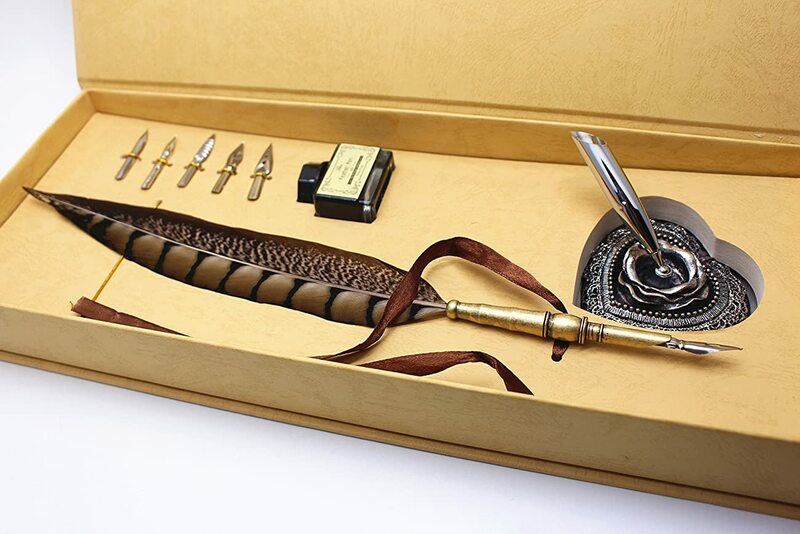 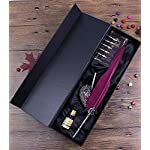 The set comes with 5 extra calligraphy nibs,1 feather pen,1 ink pot and 1 Heart-shaped pen holder. 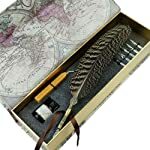 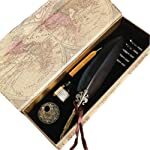 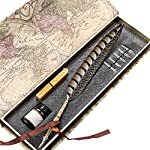 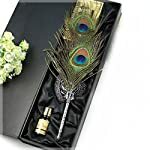 Perfect pure natural feathers pen set bring you a different life experience. 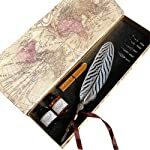 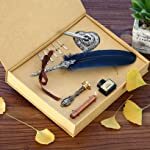 The calligraphy pen gift set is encased in a gorgeous box, making it the perfect present for all art lovers be they beginners, students or professionals. 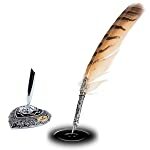 Click 'ADD TO CART' Now!